Recently I had the need to create a local development environment for my WordPress blog, so I consulted Google, and found a mix of resources that helped me. The first site I found was Copying a Live WordPress Site to a Localhost which is very comprehensive, but a little dated and a little too specific for my needs in some areas. Check it out if you’re interested. I also had a weird issue when I eventually got WordPress working on my Localhost where the media upload functionality stopped working. 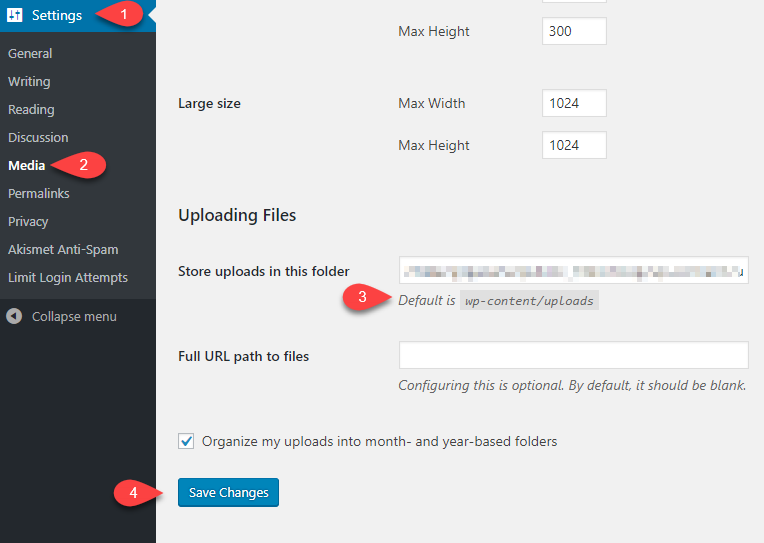 I found this page, How to Fix: ‘Upload folder is not writable’ WordPress, which resolved the issue for me. I wont go into too much detail here, suffice it to say, that you need to copy all of the WordPress installation files to your local machine, I have a mapped site in Dreamweaver setup that connects via FTP to my webhost, and I just downloaded all the site files to my computer, easy. It might take a while given your connection speed, and the size of your WordPress instance, plug-ins and themes etc. So while you wait, you can do the next step, just make sure it finishes correctly. First, work out how to find your instance of PhpMyAdmin on your live site. 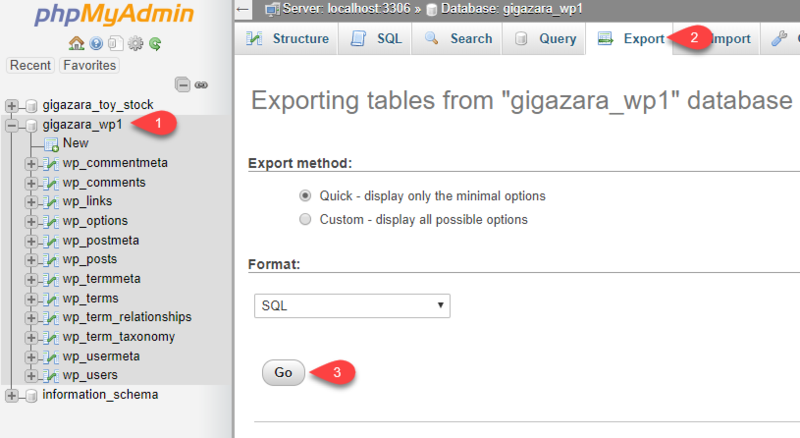 On the left hand side of PhpMyAdmin, select your database, mine is called “gigazara_wp1” yours will be different. Then select the “Export” tab from the top of the screen. Then select the “Go” button. 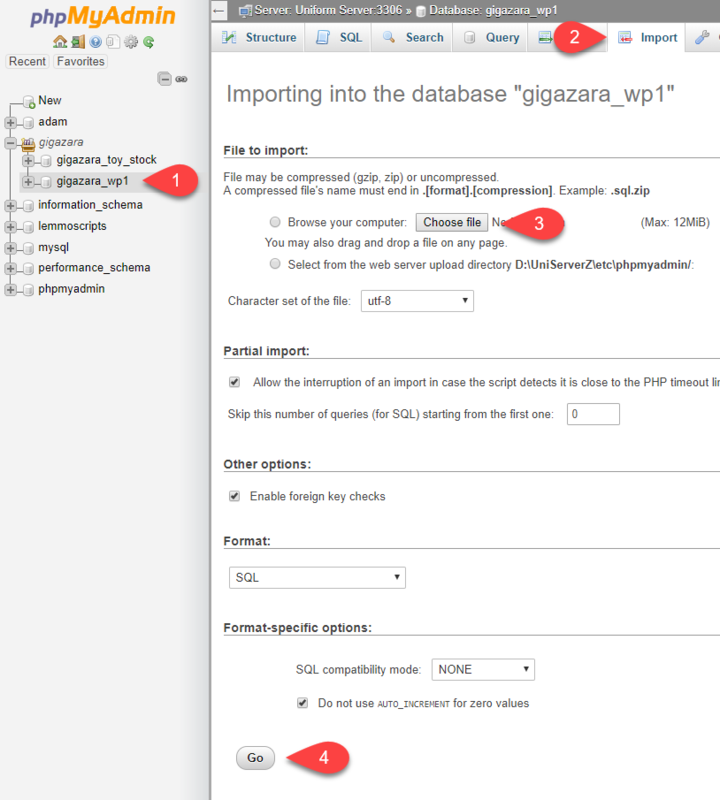 Exporting your WordPress database in PhpMyAdminThis should then download the file to your computer (mine is “gigazara_wp1.sql“). This file is just a series of SQL queries in a text file, make sure you know where this is, you will be using it in the next step. I use the excellent, bare-bones and ultra-configurable Uniserver as a local WAMP stack, but you can use anything, I’ve heard WAMP, MAMP, XAMPP are all pretty good alternatives, call me nostalgic, but Uniserver works pretty well for me. So, ensure that your WAMP stack is running, Apache, MySQL and PHP. This is how it looks in Uniserver. Then select the “Import” tab from the top of the screen. I don’t select anything else here, just select the “Go” button. Importing your WordPress database in PhpMyAdminThis should then upload the database to your local database! OK, so your database is there, but WordPress doesn’t know it yet, you need to connect it so that it can reference it. 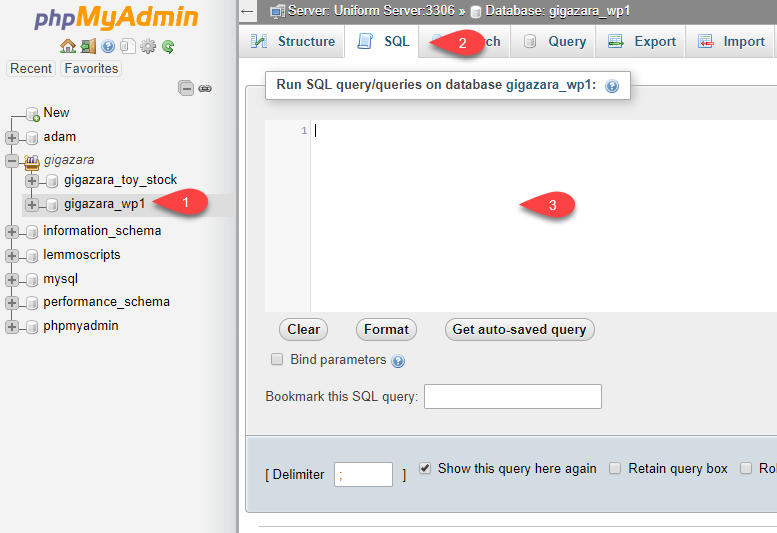 On the left hand side of PhpMyAdmin, select your database. 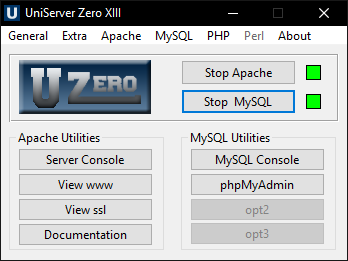 Then select the “SQL” tab from the top of the screen. Replace the URLs in the query to match your remote and local site URLs, I’ve bolded them above for your reference. Just make sure that the “DB_HOST” is set to whatever you have named your localhost, (mine is just set to the default “localhost“, but you may have something different here). Select the “Save Changes” button. Uploads should now work, with any luck!